Ashish's academic qualifications, training and professional experience is in the field of Human Resources Management and Industrial Relations. Prior to joining the University of Newcastle, Ashish taught HRM and related courses at The Open Polytechnic of New Zealand, where he held a specialist management position of the Head of the Centre for Management and also served as the Discipline Leader (HRM) and Programme Leader (OP 7208 Graduate Diploma in HRM). Since joining the University of Newcastle, Ashish has supervised/co-supervised several Honours, Masters, DBA and PhD students and won several teaching and learning awards at a Faculty, University and International level. The Journal of Management, International Journal of Human Resource Management, Journal of Knowledge Management, Knowledge Management Research and Practice, Human Resource Management (USA), Omega, The Australian Journal of Management, International Journal of Manpower, Applied Psychology: An International Review, Social Identities, Journal of Business Research, Personnel Review and Asia-Pacific Journal of Management. Ashish's research is at the interface of strategy, HRM and innovation management in an international context. Most of Ashish's research is in knowledge-intensive services industries in India and Australia. 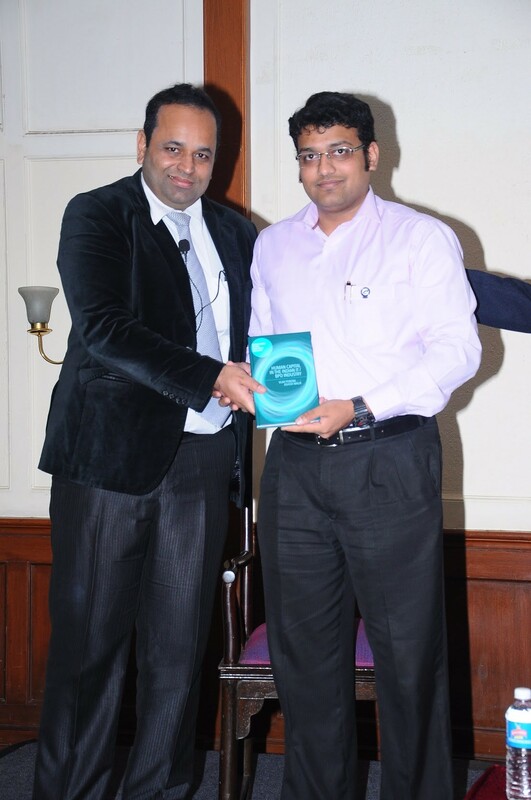 Ashish's most recent contributions to the field of HRM include: 1) the application of the concept of business models to strategic HRM literature; 2) developing a new category of expatriates- Yopatriates- Generation Y Expatriates and contributed to the understanding of how Yopatriates should be managed in high-growth firms; 3) role of HRM in creating ambidextrous contexts in emerging markets such as India for delivering innovation outcomes and growth; and 4) departing from Hofstede's popular cultural dimensions, developing an intuitive and perhaps a relevant concept of "cultural singularities" of Indianness and exploring how this concept can be relevant learning approach in an intercultural training setting, especially for the effective management of expatriate and inpatriate movements in an international and cross-border business setting. Visiting Professor at RIEB, Kobe University, Japan; University of Gottingen, Gottingen, Germany; Pforzheim University, Pforzheim , Germany; and University of Wollongong, Dubai, UAE. Visiting Scholar at Aston University, Birmingham, UK; University of Portsmouth, UK; ESSEC, Paris, France; ALBA Business School, Athens, Greece; University of Cagliari, Cagliari, Italy; and The Indian Institute of Management, Kozhikode, India. Invitation from the Chair of Philippine's Civil Service Commission to present at the Annual HR Symposium of HRM Professionals in Philippine’s Public Service in July 2017. Invitation to Chair a track for the IFKAD 2017 Conference in St. Petersburg, Russia, on the theme of Resilience and creativity of knowledge workers: Role of wellbeing and happiness in influencing creativity in June 2017 (Co-Chair Sagar Athota). Invitation to Chair a track for the IFKAD 2016 Conference in Dresden Germany on the theme of Knowledge Integration and Disruptive change in Emerging Markets in June 2016 (Co-Chairs Rebecca Mitchell and Brendan Boyle). Current research projects focus on: 1) the role of HRM practices in developing innovative capacity and ambidexterity; 2) Smart working; 3) Business model innovation in social enterprises; and 4) Employee well-being, resilience, high-involvement work systems and its impact on innovation and performance. Ashish has co-edited and authored five research monographs with leading publishers such as Routledge, Palgrave Macmillan and Springer. In addition Ashish has served as a Guest editor for several journals including Social Identities (ERA 'A'), Culture and Organization (ABDC Rank B), International Journal of Employment Studies (ABDC Rank C)and Journal of Asia Business Studies (ABDC- Rank C). © 2019 Elsevier Inc. Knowledge integration (KI) is a source of sustained competitive advantage for firms. This paper draws upon the knowledge-based view of the firm and ability-motivation-opportunity framework to develop a theoretical and empirical model showing the role of human resource management (HRM) practices in achieving KI. Findings suggest three ability-enhancing practices (training and development, focused hiring, and knowledge questioning values), four motivation-enhancing practices (project-specific performance, competency-based performance management, project-based information dissemination, and information and knowledge sharing forums) and five opportunity-enhancing practices (team working, information and knowledge sharing, verticalisation of business, geographical information and knowledge sharing, and structural change) that facilitate KI. The paper concludes with managerial implications, directions for future research and the study&apos;s limitations. © 2018, Emerald Publishing Limited. Purpose: This exploratory study aims to analyse the influence of organisational resources and capabilities on relationship quality and firm performance in the context of high-technology offshore outsourcing service vendors. Design/methodology/approach: Using a qualitative case study design, data from four offshore business process and information technology outsourcing firms were analysed. Findings: Findings highlight that resource dependence, cultural orientation and the vendor¿s resources and capabilities strengthen relationship quality and affect firm performance. Originality/value: The distinctive contribution of this study lies in identifying key organisational mechanisms that improve relationship quality and firm performance, as well as help to understand the adverse effects of ethnocentricity and power faced by vendors and subsidiaries within diverse intercultural contexts. Study limitations and future research directions, along with implications for theory and practice, are also discussed. © 2017 Informa UK Limited, trading as Taylor & Francis Group Recent studies have started exploring the linkages between organisational ambidexterity (OA) and HRM practices. OA is noted as a critical resource in achieving product, process, and business model innovations. By adopting an inductive case study of a US MNC subsidiary in India, we found empowerment-focused HRM practices were being used for exploration of new ideas and efficiency-focused HRM practices were adopted for the exploitation of the organisation¿s existing strengths. Empowerment-focused HRM practices created a culture of openness and risk-taking, which facilitated the creation of an ambidextrous context. Further, ambidextrous learning was moderated by the adoption of a managerial/leadership style that focused on ¿mirroring competencies¿ between the parent operation and its subsidiary. HRM practices were aimed at developing behaviours that valued the team-based co-development of graphic processor designs by means of a ¿parallel processing¿ approach to product development. Additionally, the HRM practice of offering intrinsic employee rewards and both informal and formal training facilitated OA in delivering product innovation. This study represents a pioneering exploration of multiple levels of analysis (individual, functional, and organisational) for product innovation through the lenses of ambidexterity, innovation, and HRM practices. The implications for both theory and practice are also discussed. © 2017. This paper, through a multi case qualitative study design, explains how in times of economic adversity, such as the global financial crisis, adaptive firms from the Indian IT offshore outsourcing implemented several global and local human resource management (HRM) strategies for co-ordinating internal and external processes for managing growth. Applying the theoretical lenses of ambidexterity, HRM practices and the integration-responsiveness framework, the paper highlights the importance of strategic choices in achieving ambidexterity and how implementing certain capabilities and HRM practices creates an ambidextrous context. The implications for theory and practice are also discussed. © 2017 Informa UK Limited, trading as Taylor & Francis Group. This appraisal considers the role and impact of vocational education and training (VET) in Australia and New Zealand, and suggests directions such policy might take in other Asia-Pacific countries. It identifies key issues and constraints in making VET more responsive to emerging labour market needs in the region as an important factor in sustaining high economic growth. It focuses on the way in which the demands of the government, industry, trainees, and, in particular, shifts in political ideology that have influenced the education and training sectors in both countries. It addresses points of specific relevance for the delivery of VET in the broader Asia-Pacific context and concludes with a consideration of lessons and experiences of Australia and New Zealand with VET that may hold for other countries in the region in formulating priorities and implementing strategies in meeting their current and emerging needs for skills development. © 2017, © Ashish Malik, Brendan Boyle and Rebecca Mitchell. Purpose: The purpose of this paper is to examine innovation in the resource-constrained context of India¿s healthcare industry. It is argued that the process of innovation in addressing healthcare management challenges in such a context occurs through organisational ambidexterity and that human resource management (HRM) plays an important role. Design/methodology/approach: A qualitative research methodology is applied to explore the role of HR practices in facilitating contextual ambidexterity and subsequent innovations in healthcare in India. The unit of analysis is the ¿case¿ of healthcare providers in India and in-depth interview and documentary data in two case sites are analysed to reveal the role of HRM in facilitating contextual ambidexterity and innovation. Data analysis was undertaken first at a within-case and then at a cross-case analysis level using interpretive manual coding based on how the data explained the role of HRM in delivering innovative outcomes and supporting organisational ambidexterity. Findings: The authors found evidence of the use of sets of high-involvement HRM practices for exploration of new ideas and efficiency-driven HRM practices for creating contextual ambidexterity in the case organisations. Further, managerial/leadership style was found to play an important role in creating cultures of trust, openness, risk-taking and employee empowerment, supported by an appropriate mix of intrinsic and extrinsic rewards. Finally, training was also reported as being central to creating an ambidextrous context for delivering on various innovations in these healthcare providers. Originality/value: This study represents an exploration of innovation in the context of India¿s healthcare sector through intersecting literatures of ambidexterity, innovation and HRM practices. In light of the emerging economy research context, an important empirical contribution is palpable. Moreover, through a study design which included collecting data from multiple informants on the role of human resources in facilitating innovative outcomes, the authors reveal the role of HR-related initiatives, beyond formal HR practices in creating contextual ambidexterity. This study also reveals the degree to which contextual idiosyncrasies enhance our understanding of the role of HR in facilitating innovation in emerging economies. © 2016, © Emerald Group Publishing Limited. Purpose: The purpose of this paper is to analyse data from the New South Wales Government¿s Pilot Programme of establishing Smart Work Hubs (SWHs) for enabling teleworking in two busy commuter corridors. The paper analyses the relationships between various firm, job and personal factors and the perceived value, attitudes and expected usage by users of the SWHs. Design/methodology/approach: Employing a cross-sectional survey design, the characteristics, values and attitudes of 117 SWH users were analysed using partial least squares (PLS) method of structural equation modelling (SEM). SEM-PLS approach is considered appropriate especially in prediction-based studies and to estimate an endogenous target construct. Findings: Results revealed that perceived SWH value significantly influenced attitude towards the SWH, which then had a significant influence on SWH usage intentions, with personal, job and firm factors also playing a role. Further analysis revealed four variables that significantly influenced the perception of family-value benefits (age, income, hub commute distance, work commute distance), however, there were none that significantly influenced the perception of work benefits. Research limitations/implications: The small sample size limits statistical inferences and generalisations to be drawn. Further, this paper also discusses how the low and uneven uptake of teleworking at a SWH raises several managerial and policy implications needing attention. Originality/value: To the best of the authors¿ knowledge, this is the first empirical study analysing the expected values, attitudes and usage intentions of teleworkers in a SWH context. This study adds to the emerging body of human resource management studies on an outward-looking approach. The novel context will provide a useful base for subsequent studies. This paper analyses the impact of the global financial crisis (GFC) on human resource management (HRM) practices in India&apos;s information technology (IT) industry. The findings support the presence of a hard approach to HRM. Despite the negative impact of the GFC, there was evidence of growth in certain IT services. The specific positive and negative impacts include firms&apos; unethical and opportunistic behaviour in performance management, pay freezes, reduced billing and employee turnover rates, increased competition, addition of new service areas and improvisations to firms&apos; business models. The short-term outlook for managers is to tread with caution. Implications for theory and practice are also discussed. © 2013 Copyright Taylor and Francis Group, LLC. Business Model Innovation in Social Enterprises – A Comparative Study of India and Australia- LGRP/2017/02.R1. Dr Ashish Malik has co-authored or edited three books, which were launched recently.